"Volunteers are the heart of the R-H community we serve." Do you want to feel good about your day? Help us . . . Help our neighbors! 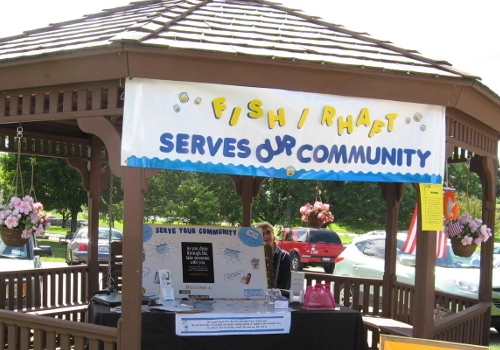 FISH and RHAFT depend on a neighborhood association of volunteers to fulfill our mission of serving residents who live within the Rush-Henrietta Central School District. Some of your neighbors may need a ride to do simple but necessary things . . . like visit their doctor, stop at the pharmacy, obtain medical testing or treatment. Some of your neighbors may need emergency help to provide food for their families. 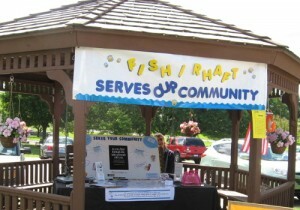 FISH and RHAFT volunteers play a very important role in the Rush-Henrietta community! Individuals interested in becoming a FISH and/or RHAFT Volunteer or obtaining more information will be put in touch with someone who can answer your questions and put your service to good use. You’ll get a lot more out of it than you expect . . . perhaps more than you give. Call 585/453-2370! If you have as little as one day a month, consider being a volunteer Dispatcher. If you have a couple of hours a week, or even a few hours a month, consider being a volunteer FISH Driver and/or a RHAFT Packer/Driver. Driver volunteers accept assignments based on their own daily schedule and availability. While fulfilling assigned trips, you can choose to be reimbursed for the use of your own vehicle and will be provided supplemental accident/liability insurance. You may receive a discount on your personal vehicle insurance. You will be provided with relevant training. Work from home, 1 day/month, receiving and making phone calls. Refer various requests – donations, food, information, volunteers – received from the answering service to other volunteers. For ride requests, contact the client to obtain their address, appointment details and any other information (i.e., going alone, disability limitations, etc.). Call a FISH Driver from a monthly Availability List to arrange transportation for the client (usually round trip, to and from) for their next day’s medical appointment. Record information on a Dispatcher’s Report for each request received from the answering service. The next day, record drivers’ mileage & time, plus any problems and/or concerns reported by each driver. Submit report electronically or via mail. The amount of time you volunteer is strictly your choice. When called regarding a trip, choose whether or not to accept based on your availability. Training provided by FISH and Lifespan. FISH and Lifespan provide supplemental accident and liability insurance. Choose whether or not you want to be reimbursed for mileage on your own vehicle. Upon completion of assigned trip, report your mileage and time, plus any problems or concerns, to the Dispatcher who assigned the trip. At the end of each month, complete a Mileage Report. Submit report electronically or via USPS mail. Every trip you accept is greatly appreciated by FISH and the people you help by providing them a ride. The amount of time you volunteer is strictly your choice. When called regarding an assignment, choose whether or not to accept based on your availability. Verifier volunteers call Packer/Drivers from a monthly Schedule. Drive your own vehicle to RHAFT location. Select and pack the food needed for an authorized timeframe (defined by the Verifier) for a qualified family. Use a form, personalized by the Verifier with specific items to avoid, to guide you on what kinds of food & supplies to choose for the qualified family. Drive your own vehicle to the client’s home with boxes and/or bags to be delivered. Client is responsible for getting the delivery into their home. Upon completion of a trip, report your mileage to the Verifier who assigned the trip. At the end of each month, complete a Mileage Report. Submit report electronically or via USPS mail. Choose whether or not to be reimbursed for your incurred miles. Interested in how we are serving the R-H community? See our activity page.